How are these top tycoons making sure their companies remain in good hands? Some of the country's biggest leaders of industry gathered at a recent forum titled "Power Meet Up: Captains and Trailblazers." Among the speakers were Fernando Zobel de Ayala, president of Ayala Corporation, and Hans Sy, chairman of the executive committee of SM Prime Holdings. They both shared insightful stories about their journeys to the top, as well as lessons they would like to to pass on to the next generation. "One of the most important lessons Iâve learned?" asked Zobel de Ayala. "Never take good times for granted. Always be prepared for things to take a downturn." He highlighted the ups and downs Ayala Corp. has been through as a company and emphasized the many groups that have worked hard behind the scenes. Sy focused on hard work as necessary to stay on top. âWe have a family motto,â he revealed. "In good times, we work hard. In bad times, we work harder. I can tell you that every single one of my brothers and sisters has lived life with that." When asked about succession planning and raising heirs, both tycoons had similar tips and experiences to share. Sy admitted SM has a very structured succession planning process. Every year, top management evaluates the entire organization and taps those who have the potential to become future leaders. "We assess them based on their capabilities, their skills, and then [look into] the gaps. We figure out how to close those gaps," he said. "There are several ways we do it: one is through training, one is through doing. We assign people to projects that would round out their set of skills." According to Sy, this was how they rouded out their current CEO, who was previously their chief financial management officer. "We made him handle the entry into the middle market, develop the business case, go out into the field, go into the marketplaces, talk to the people, really understand the mindset of the consumers and the mindset of the salespeople," he said. "And I am glad to say that he was very successful at that. The fact that he was not from sales, that he had a completely fresh mindset and was able to figure out new ways of distributing and reaching out to an entirely different demographic." Zobel de Ayala agreed that succession planning is one of the most important aspects of running a conglomerate. âI tend to focus with my brother on the more senior levels. We go through this for quite a long period of time, where we really look at the performance of certain individuals,â he said. "We try to move them around to different types of jobs so that we can test them, until they get to that type of seniority where we can give them very large responsibilities." Be open to letting young professionals take leadership and top positions. While seniority matters in the hierarchy for many companies, so should skill, competence, and character. "One thing I'd like to leave with the audience that has changed dramatically in the last 10 to 20 years? It's that we now have 30-year-olds and young 40[-somethings], running very, very large companies. This was unheard of when I was starting to work," said Zobel de Ayala. "This is how Ayala Corp. is able to train talents: by giving them huge amounts of responsibilities much earlier. Within the conglomerate while it looks very big are many, many companies inside, with all kinds of entrepreneurial opportunities," he said. "This is how we test people." "As we expand, we need to also expand the organization. As far as all our executives are concerned, in fact, very recently we just introduced this so-called '60, you're retired,'" said Sy. "But it doesn't mean that we don't want you anymore; it means that you have five years to develop somebody to take over your position. We will review you again after three years, and when we see that you have developed somebody in the next two years, we will just be sitting back observing the guys you have developed. That's the kind of succession planning that we have already placed in our organization." 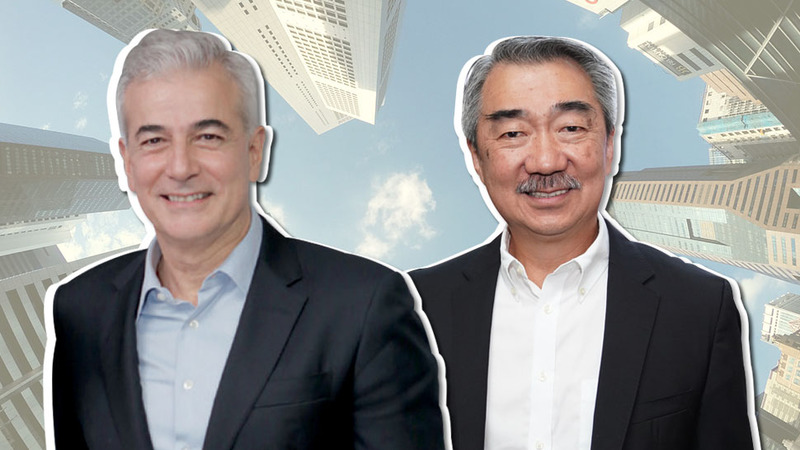 For both Sy and Zobel de Ayala, giving the next generation choices will allow them to find fulfilment in their own success. "The children are really raised not so they would work for the company, but for them to be successful in their own right, in whatever field they want," assured Zobel de Ayala. "If we see that someone has the ambition and talent to join and can be competitive with the best talent that we have, then we start testing them and bringing them into the company. Because if not, they won't succeed and won't gain the respect of the rest of the employees. It's not their right, they have to earn it." Similarly, Sy says that the third generation members of the Sy family have it much better, with the option to work for SM or not. "For the second generation, I have to say, we were never given a choice. Whether we like it or not, [we] are part of the company. We were required to start working on weekends at the age of 13," he said. "But the second generation all got together, and we came up with our family constitution. The first thing we decided on for the third generation is that it's their choice. They were given only two choices: One is to be owners, and have nothing to do with the company. The other one is to really show that they really deserve the position; they will have to grow into it." "For my personal approach for my own children, I'm a bit tougher. Not that I don't give them a choice. I had them work for somebody else. Commit the mistakes somewhere else," he added. "And then after three years, if they really want to join [SM], they can come in." Power Meet Up: Captains and Trailblazers was a fundraising forum organized by Families in Art and Culture (FIAT) for Punlaan School, a foundation that aims to help women rise from poverty.